EVER WONDERED HOW A RAILROAD OPERATES? LEARN: RAILROAD SAFETY, TRAIN OPERATIONS, & DISPATCHING! 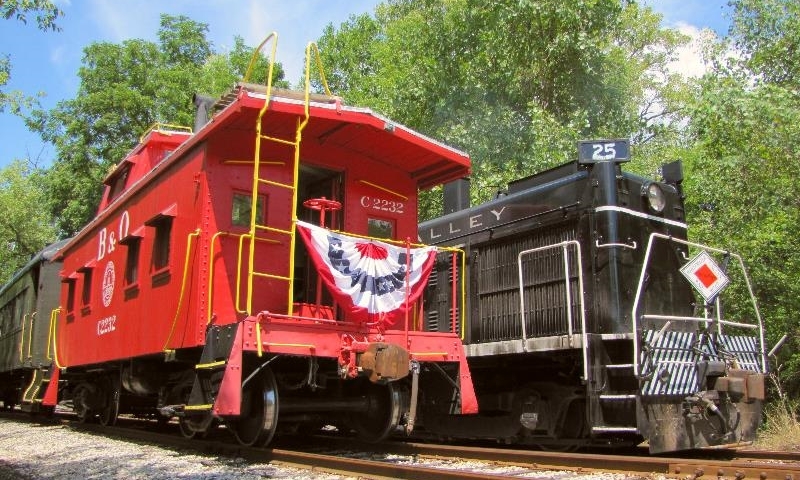 Connersville, Indiana – The Historic Whitewater Valley Railroad‘s Annual Training Classes will be held beginning February 18, 2017 at the South Connersville Yard Complex located at 300 South Eastern Avenue, Connersville, Indiana. This free course is open to the public and does not require membership to the non-profit Whitewater Valley Railroad. Ever wondered how a railroad REALLY operates? This is your chance to take a hands-on course leading to actual excursion passenger train operation on a short line heritage railway. Free training includes classroom instruction, hands-on practice in train operations, signaling and switching, and an introduction to diesel and steam locomotive operation. Adult trainees will have direct practice in coupling cars, and the opportunity to operate a full size historic diesel locomotive. Free course is conducted for six successive Saturdays starting February 18, 2017, at the Whitewater Valley Railroad South Connersville Yard Complex in Connersville. Each session will begin at 9:01 a.m. each Saturday, running to approximately 3:01 PM with a break for lunch. The final class will be held on March 25, 2017 and includes a special inspection trip to Metamora. The free training course is open to everyone. There is a small charge ($25, subject to change without notice) for printed materials used in the course. Clothing suitable for working out of doors in a winter railroad environment is recommended. The primary purpose is to train new volunteer members to help operate the historic Whitewater Valley Railroad. The class is not intended to train railroaders for professional jobs, but a number of our volunteers have, in fact, gone on to railroad train service careers after working a year or two on our railroad. Upon successful graduation from the class you will be able to start your training as a student brakeman given you meet the minimum age requirement of 18. More details are available during the classes.